A special feature this week, related to the archive interview I aired on Monday with Robert and Martha Manning: click here to watch a slideshow with audio of my recent walk with friends along part of The Camino de Santiago (The Way of Saint James).You’ll hear music by the Spanish group El Niño del Parking. They are from Andalucia, which isn’t the same region as where the Camino ends, which is Galicia, but I needed to find music I had the right to use. You’ll hear some moments I shared with the friends I walked with, Carol and Fiona. And you’ll hear many sounds from the natural world, and conversations heard along the trail. I’ve also included a few brief first-hand accounts from pilgrims I met along the way. Finally, toward the end, you’ll hear what sounds like bagpipes. And you’ll be right! As we approached the cathedral at the end, we encountered a bagpipe player, although the bagpipes from the region are actually called The "Gaita Gallega" and they are slightly different from the celtic instrument. At the very end, you’ll hear some music from the service in the Cathedral itself. Interview from the archives with Ecologist and educator Amy Seidl, author of Early Spring: An Ecologist and Her Children Wake to a Warming World and Finding Higher Ground: Adaptation in the Age of Warming. This week's Write the Book Prompt concerns caring for the earth. Write about one step you have taken toward this guardianship. Then write about a next step you hope to take. 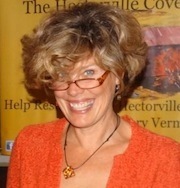 Author, editor, educator, and translator Wendy Call. This week’s Write The Book Prompt was suggested by my guest, Wendy Call, who says it was inspired by the portion of our interview about translation. It’s an exercise in homophonic translation -- that is to say, translation based on sound – actual, assumed, or imagined – of poetry written in other languages. First: Find a stanza of poetry written in a language you do not know. Second: Look at the words carefully and imagine how they sound when spoken aloud. Link those sounds to English words. Try sounding out each line verbally, until English words occur to you. Focus on SOUND, not known or imagined meaning. Feel free to take liberties and be nonsensical. Here's an example, of a stanza of poetry written by Irma Pineda in Isthmus Zapotec, a language spoken in Oaxaca, Mexico. Ran an exit to bike yoga, ‘kay? Third: Take your "found" English stanza and revise it into a new poem. Vermont author Eric Zencey, in a conversation about his novel, Panama (Farrar Straus Giroux), and his nonfiction books, The Other Road to Serfdom and the Path to Sustainable Democracy (UPNE), and Greening Vermont - The Search for a Sustainable State (Vermont Natural Resources Council/Thistle Hill Publications), co-authored by Elizabeth Courtney. This week’s Write The Book Prompt was suggested by my guest, Eric Zencey. It concerns noise and noise pollution. Based on a theater exercise that he’s been interested in turning into a writing prompt, this week’s exercise is to lie down, shut your eyes, maybe dim the lights, and then listen to and remember every sound you hear for a set amount of time. Maybe five minutes. Maybe ten. You decide. After that time is up, take notes about what you recall, and use the noises you were able to identify in your work. Vermont author James Tabor, Author of Blind Descent, discusses cave exploration, writing, and Curtis' "Eighth Wonder of the World" Barbecue in Putney, Vermont. This week’s Write The Book prompt is to write about an adventure you've had as an adult. Poet and prose writer Barbara Henning, whose latest book is A Swift Passage, published by Quale Press. This week’s Write The Book Prompt was generously offered by my guest, Barbara Henning. She told me that she has used this at the start of a new class, to help her students ground themselves. The prompt is called “FROM HAIKU TO PROSE” - Go for a walk (or remember a walk) and write down everything you see. Then write three haiku using words from your notes. Try to make each haiku a sentence. Haiku celebrate the ever-transforming universe by describing two actions in a single moment in time, an epiphany as the writer becomes aware of reality by observing something simple, striking and absolutely ordinary. Don't worry about syllable count; instead for each haiku, write one short line, one longer line and another short line. The world turns, the seasons change, everything is moving. See if you can get a sense of the season into your haiku and shy away from metaphors, abstract ideas, generalizations and statements about the writer's feelings; stick with things in movement. Haiku do not lecture on ideas about truth, goodness and beauty. They ARE truth and beauty. Here are two haiku, the first by Basho and the second by Richard Wright. Now tell the story of your walk and embed these haiku as sentences into your prose. If you consider your life a journey, every event that takes place is part of that journey, every action a part of another action. Even these momentary observations are small actions. Instead of breaking for the lined poem, let them flow right into the prose as sentences. In this way, you will have a poetic rhythm in your flash fiction or prose poem. You can use this same technique as a regular journal exercise or as a way to begin a story or a poem. A 2010 interview with Jacob Paul, author of Sarah/Sara, published by IG Publishing. This week's Write The Book Prompt is to write a set of instructions for one character to relay to another in dialogue. For example, how to build a fire, how to cook a chicken, how to set a spider free without hurting it. Vermont Poet Laureate Sydney Lea, whose tenth collection of poems, I Was Thinking of Beauty, is now available from Four Way Books. Skyhorse Publishing has just published A North Country Life: Tales of Woodsmen, Waters and Wildlife. This interview is also available to watch, thanks to production by RETN, the Regional Educational Technology Network in Burlington, VT.
Today's Write The Book Prompt is to write a poem that involves a recollection of an old friend, and a reaction to the natural world.